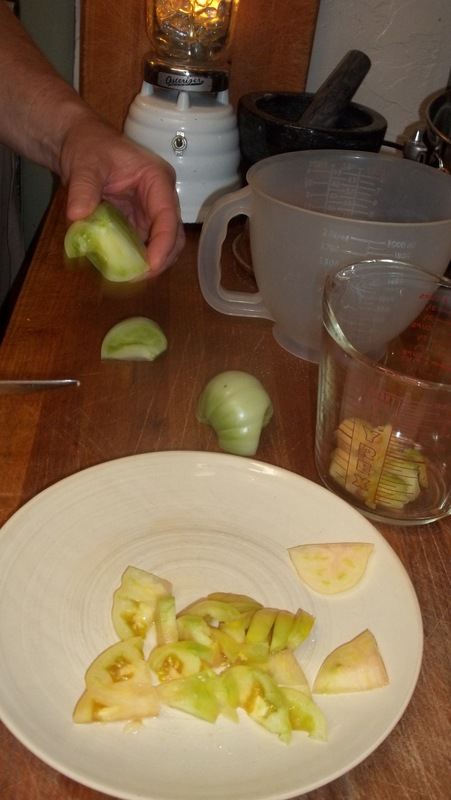 As we were talking about green tomatoes Ginny suddenly said, “Do you remember that relish you made for me? It was so delicious! It was like what my mother made back in Massachusetts…” My mother-in-law’s face was ecstatic! I had to laugh. 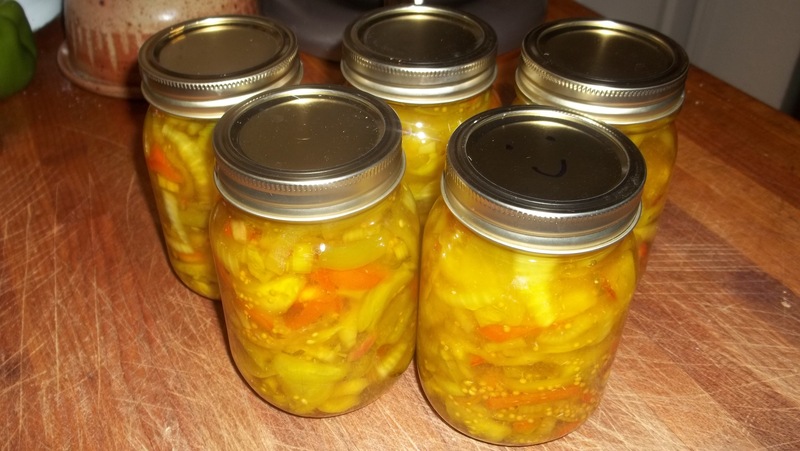 It’s been more than 25 years since I made that piccalilli, and to think that the memory of it is right up there with my mother-in-law’s cherished childhood memories. It had been so long since I made piccalilli that I don’t even know what recipe I used, but I remembered most of the basic ingredients. 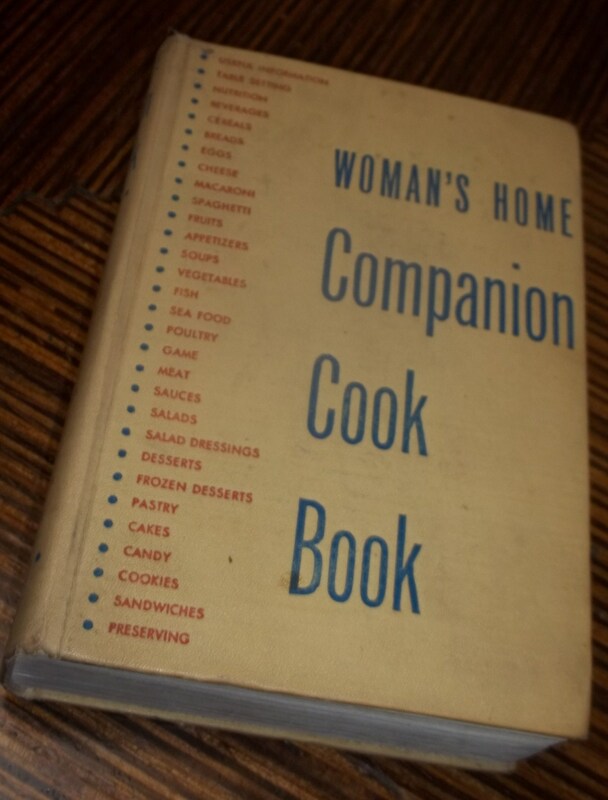 Since it’s an old fashioned sort of food, I decide to look in my 1942 Woman’s Home Companion Cookbook. I have at least 50 cookbooks crowding two shelves, but I hardly ever follow a recipe to the T. This was no exception. But it’s pretty close. 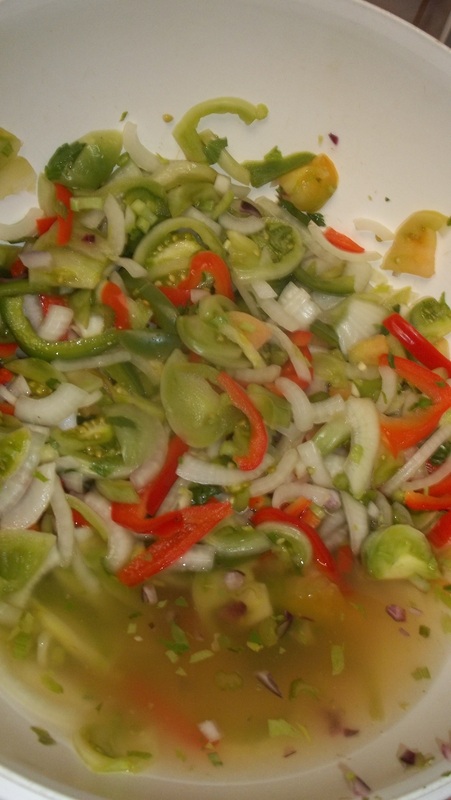 *The process is very easy but it takes at least 8 hours or overnight to prepare. Cut the tomatoes in half and then slice them into nice chunky bite-sized slices. 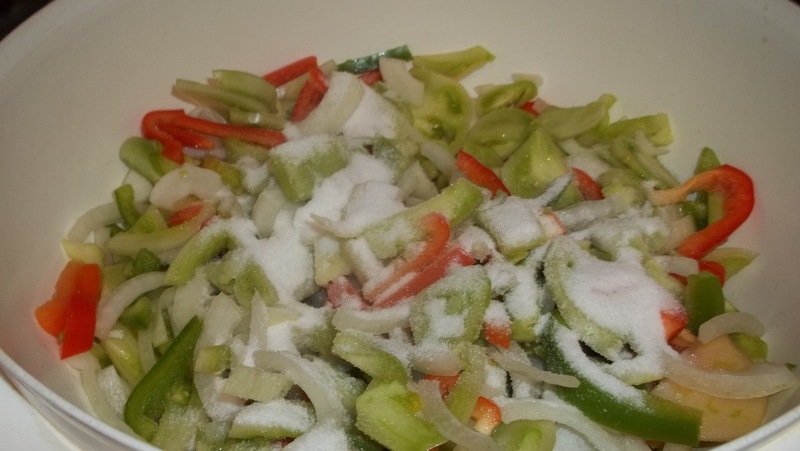 Place in a large bowl and mix in the salt. Cover, and let stand overnight. 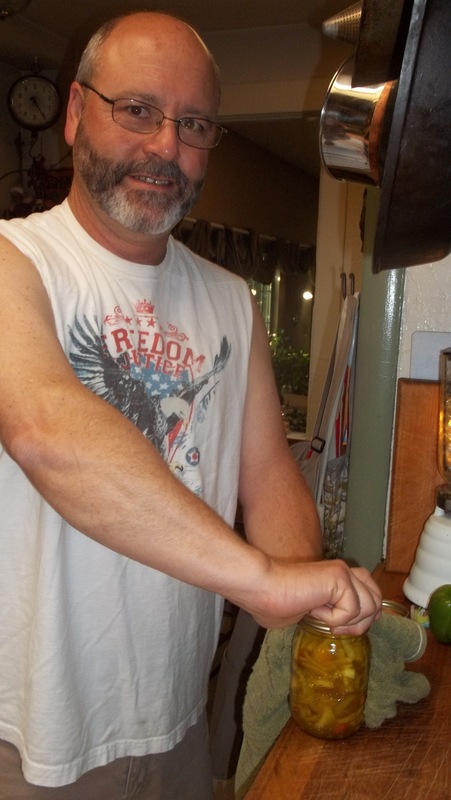 In the morning (or after about 8 hours) drain off the salt water that will have formed. 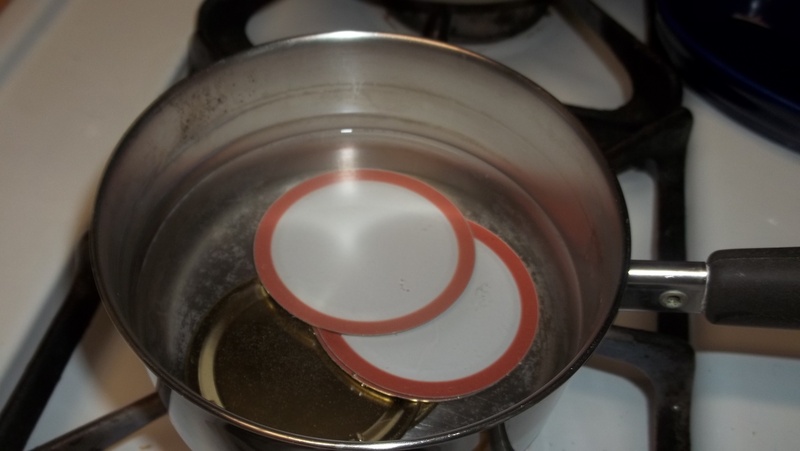 Place the canning lids into a pot of water and bring it to a boil, then turn it off. The hot water softens the rubber so you get a better seal on the jars. 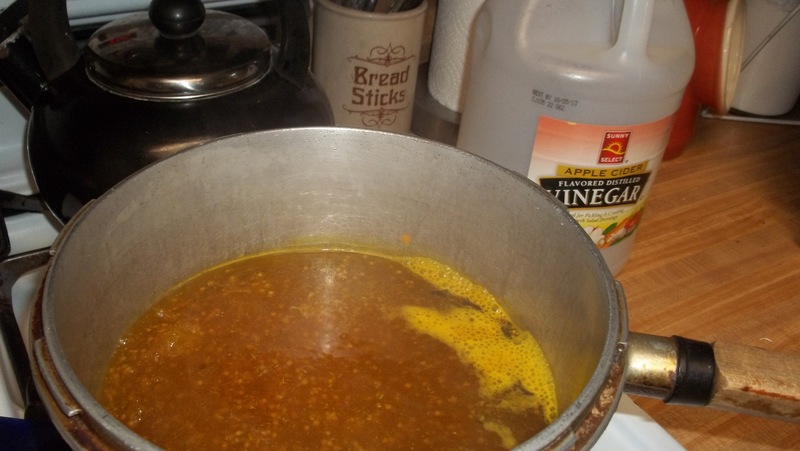 Mix the cider vinegar, sugar and spices in a large pot, and bring the mixture to a boil. 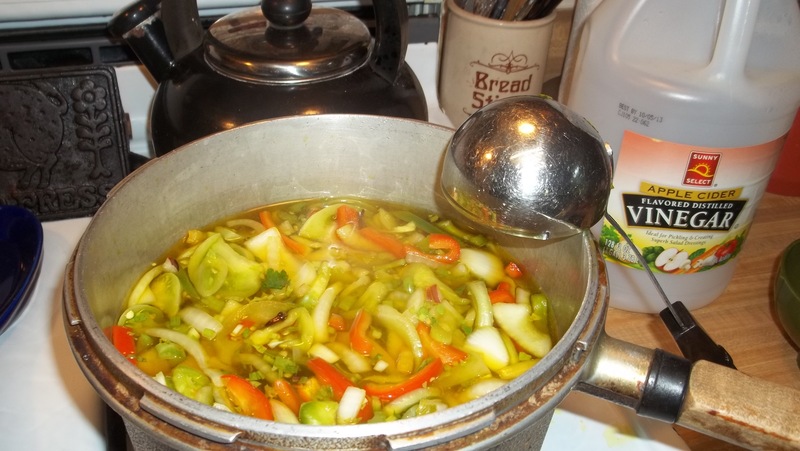 Add the drained vegetables, and bring it back just to a boil. Turn off heat. 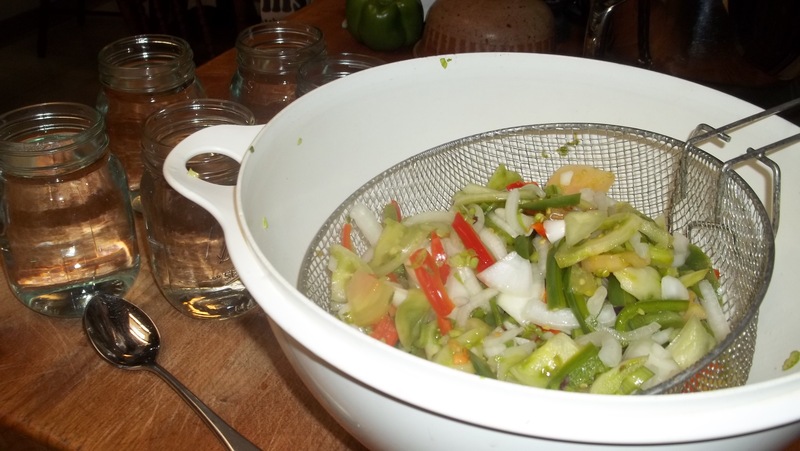 Fill the clean hot jars, put on the lids and tighten the rings. Allow the jars to stand upside down on the counter for an hour or so, then turn them upright. I love hearing the “ping” as each jar seals! 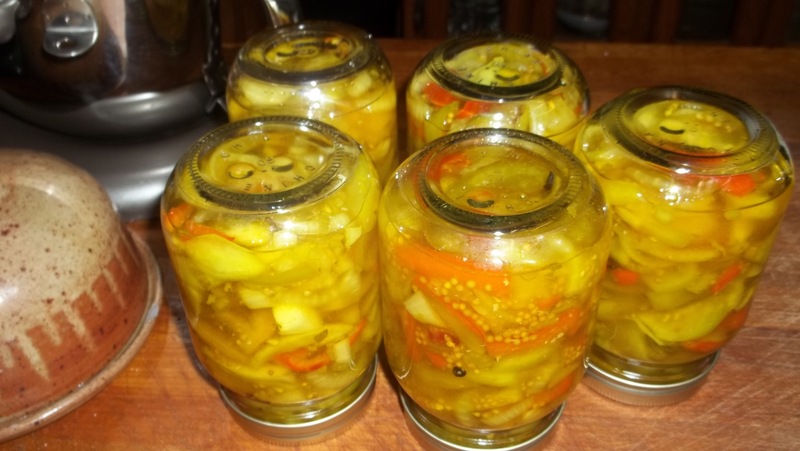 I remember Grammy’s piccalilli. We loved it on hamburgers. I guess they were wise to leave out the fact that it was made with green tomatoes. 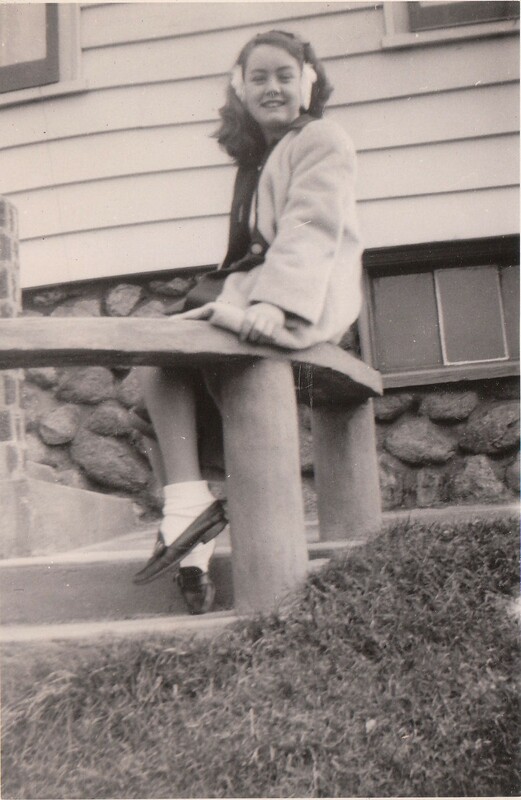 I love that photo of my Mom as a child. Thanks for posting it all!!!!! Thank YOU! We opened your piccalilli last night and had it with grilled hamburgers. Delicious!!!! It tasted exactly as I remembered it. 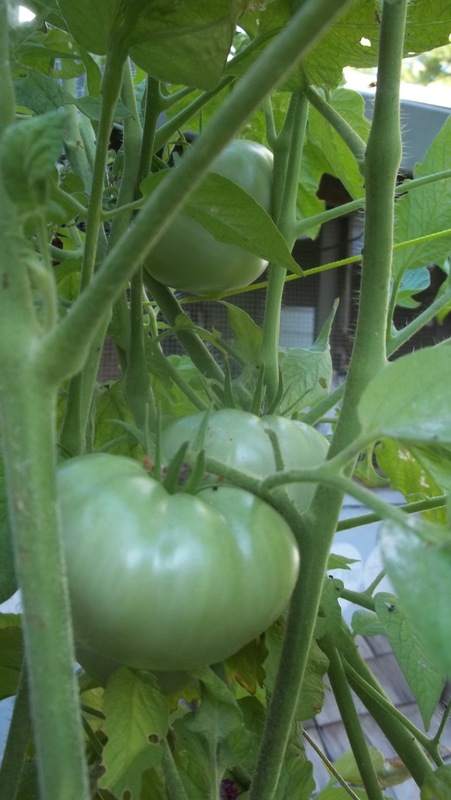 I recall the tomatoes and onions (I didn’t know they were tomatoes and onions at the time) being cut thinner, but that was the only difference. I like this texture, too, though. And the flavor was perfect! We had friends over who loved it, too! Bravo! Thanks! I’m glad you guys liked it Mark!